By Alistair Reign, July 14. 2016. Alistair Reign News Blog. Indiana Governor, Mike Pence has been reported as Donald Trump’s vice presidential pick, according to multiple media outlets. Gov. Pence is a former House GOP leader who served in the chamber from 2001 to 2013. Pence had been on a final shortlist for the spot along with former Speaker Newt Gingrich (Ga.) and New Jersey Gov. Chris Christie, according to Trump. He was also the overwhelming favorite of GOP lawmakers on Capitol Hill. This is getting serious folks. Trump steps up his game – again. 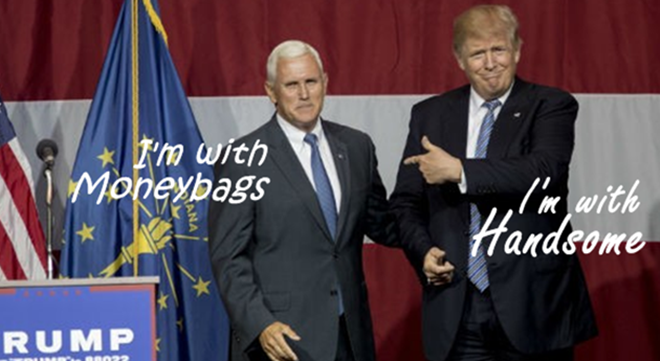 Governor Pence Will Bring Credibility To The Republican’s Campaign. Read updates on Donald Trump’s run for presidency under United States in the News section. You can also sign-up for email alerts and we will let you know when a new article is posted.